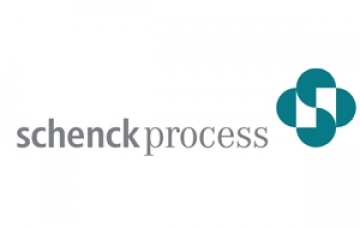 Schenck Process is the world market leader in measuring and process technology. With an unrivalled global network of sites and competent partners, the name Schenck Process is synonymous throughout the world with process expertise and well-engineered measuring technology for weighing, feeding, conveying, screening, automation and air filtration systems. Schenck Process was going through a period of change and restructure, and as part of that was looking to appoint a Chief Operating Officer for their UK operations. They did not feel that they had the expertise and knowledge in-house to deliver the high-calibre candidate needed for such a business critical role. Despite having a long list of approved recruitment partners, they approached Newman Stewart because of our expert knowledge of the materials handling market, feeling that this would mitigate any risks of hiring the wrong person. We pride ourselves on our thorough processes which involve sitting down with our clients and candidates and really understanding their business and career objectives. Schenck Process was no exception. Once we had agreed a full brief including the type of candidate they were looking for, a full job description and clear guidelines as to companies we could and couldn’t approach for potential candidates, we began our search. Through our specialist knowledge and network of highly skilled candidates, we were able to identify and approach the people who we thought would best fit the brief, providing regular updates and advice to the client along the way. A number of candidates, both from our existing candidate pool and who we specifically headhunted for the role, were interviewed against the confidential brief provided by Schenck Process, 3 of whom were shortlisted and passed to the client. Of the three candidates shortlisted and interviewed by the client, one stood out for his strong track record in the industrial sector including 14 years with Rolls-Royce Aerospace and four years at David Brown Gear Systems. Through carefully matching the candidates career aspirations with the clients needs and ensuring clear communications throughout the recruitment and onboarding process, we were able to develop a strong bond with both the client and candidate, and are now Schenck Process’s recruitment partner of choice, having worked with them to successfully fulfil over 20 key placements covering leadership, sales, operations and engineering functions.